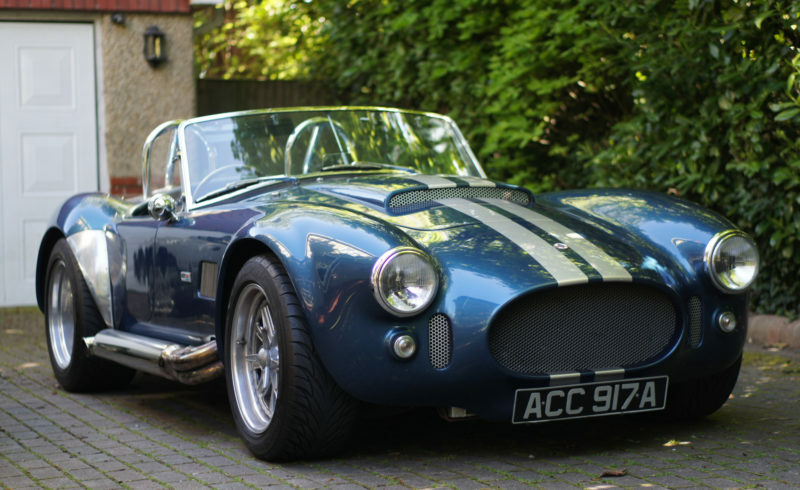 An AC Cobra replica with the excellent 350cu 5.7ltr Chevrolet V8 With a massive 448 BHP at the flywheel, Which is plenty of punch for the driver and sounds absolutely fantastic through the 4 inch diameter side exhaust system. Linked to the 5 speed Tremec large output shaft gearbox with a kevlar clutch. A fantastic looking car with all the right curves and a superb V8 motor. It just purrs with the slightest touch of the throttle and sounds like thunder when you open it up. Reliable and fast, You know you want it. It comes with 12 Months Mot and 6 Months Tax.